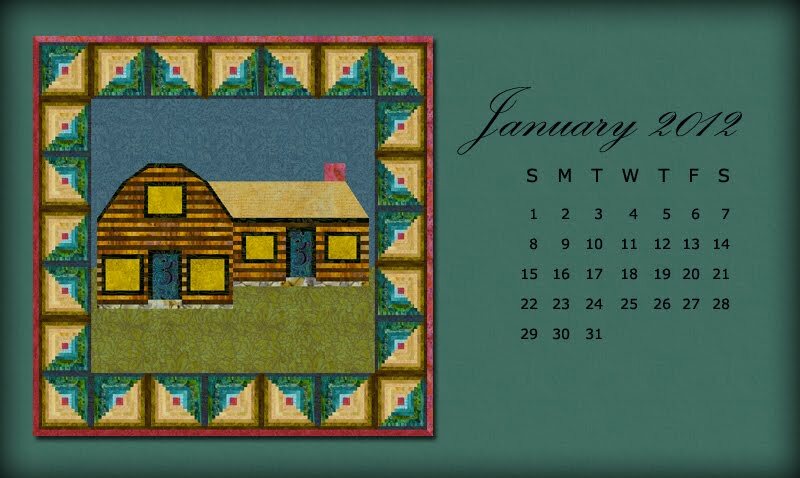 In recognition of the opening of our second retreat, the Quilters Cabin, the 2012 calendars will all be log cabin variations. 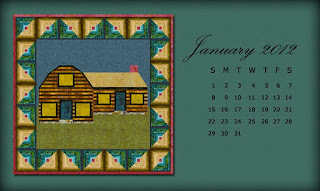 This first one is a representation made in EQ7 of our original log cabin which we lived in for 25 years. In another week, it'll be opened to retreaters and I can take a break from remodeling, painting, shopping(!) and not sleeping! Click on the calendar to expand image to full size, right-click and choose Set as Wallpaper or Background. To really jazz up your desktop, right-click on your background and choose a color that coordinates with the calendar - you'll be the envy of your cubicle! I'm looking forward to a quiet and peaceful 2012 and hope that you get one too...if that's what you want! at 12:01 AM 3 Brilliant Observations!